Let the next party see your little darling look adorably fashionable wearing these belly shoes from Barbie. Comfortable to wear the synthetic upper and TPR (thermoplastic rubber) sole ensure snug fit. 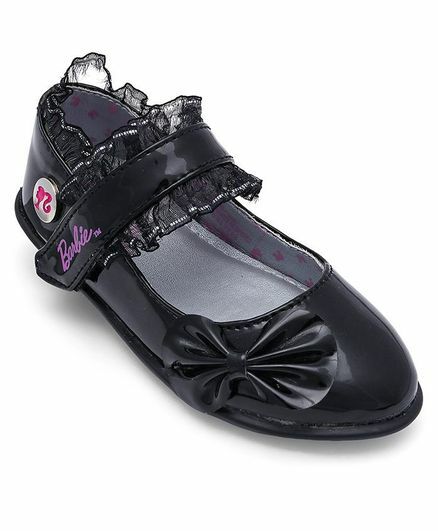 The belly shoes feature charming bow applique that adds to their eye-catching charm.